The group will meet the tour leader at Al Hamra Shopping Street, from where we’ll begin the Panorama Bike Tour. 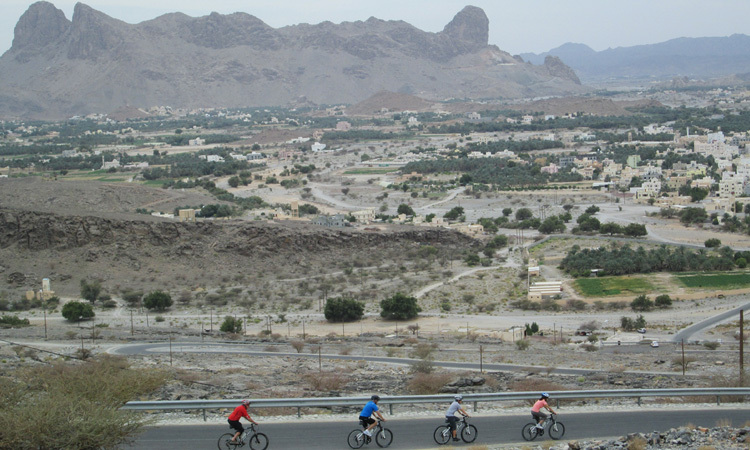 First, we’ll ride towards Misfat Al Abriyeen, one of the oldest villages in Al Hamra, which lies at an altitude of almost a thousand meters above sea level. The roads are well maintained but it’s a steep ride on the 5km of track we cover till the village. 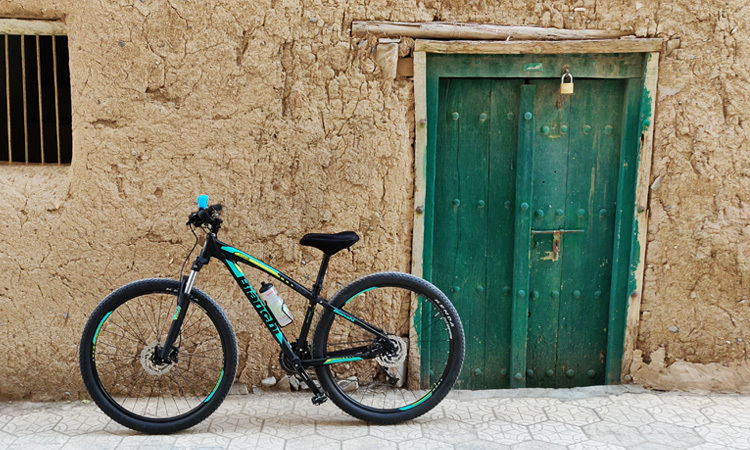 On reaching, we’ll leave our bikes in the parking area of the village and walk around the old mud houses and farms, exploring one of the most beautiful villages in North Oman. You also get an opportunity to see the traditional Falaj irrigation system and local kids jumping into the small pond of natural water. 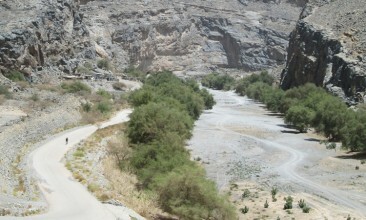 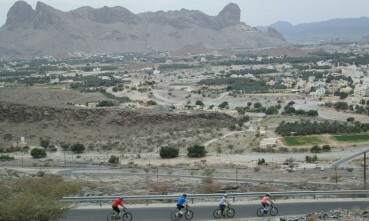 After exploring the village and its surroundings we’ll ride towards Al Hamra. 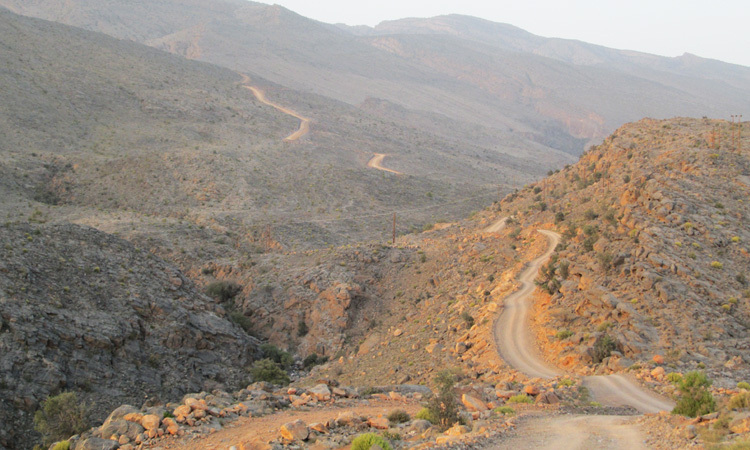 Old Al Hamra is the perfect place to gain an understanding of ancient Oman, its people and their lifestyle. 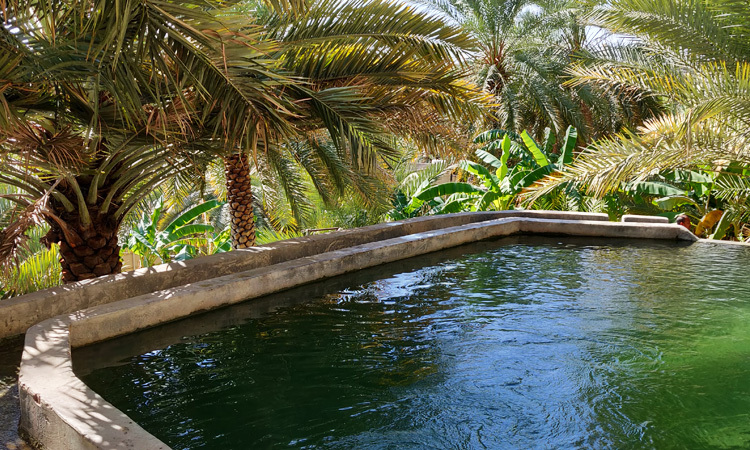 We’ll also visit an ancient house, which is considered a site of great archaeological importance and has been converted into a museum. 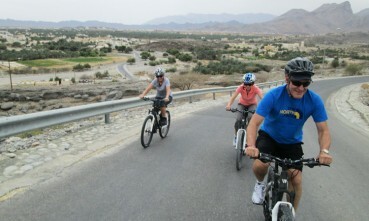 Afterward, we’ll ride through the date farms before finishing this wonderful tour.